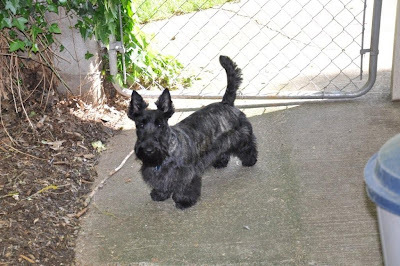 Montgomerie of Camas - AKC Scottish Terriers: email - Here is our Hogan! email - Here is our Hogan! He is a very smart and sweet dog. Always following his big brother Argus , our German Shepperd . They get along well, and Argus can stand Hogan's strong personality. I can not believe he will be 1 year old next 30th. We took him to the vet today for a check up and he is well and weighs 23 pounds. I am so pleased to have such a nice dog as my companion all the time. 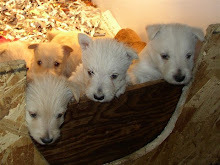 Hope that you guys are doing fine, as well all your dogs.